Decades of African American women have found themselves in the midst of a dilemma: the choice between embracing their naturally curly hair or seeking methods of straightening it. Personally, I believe that while every woman has the choice to do whatever she wishes with her hair, it is important to recognize that one is in fact beautiful, naturally. For many years, the media has perpetuated an image of beauty that favors Anglo-Saxon features. As a result, for years black women have coveted hair just like these icons: long, straight, beautiful. 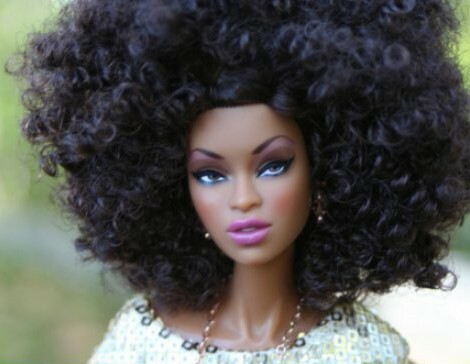 In the mimicking of an image of beauty that is not our own, natural hair has been cast to the side as a lesser entity. There are many girls nationwide who battle issues with their body and body image. The idea that a black woman’s natural hair is “ugly” or “unkempt” only promotes self-hate and the idea that one is inadequate the way they were born. Straight hair should not be a mask to hide behind because you are ashamed of the features that life has dealt you. As a black woman, I take pride in the versatility of my hair and fully embrace my curls. I believe that by wearing my hair naturally, I am professing to the world that I am accepting of myself and do not care if society does not find me beautiful. I believe that every black girl should recognize that she was divinely crafted, head to toe. She owes neither an apology nor feeling of shame for a single kink or curl on her head. I spoke to MU freshman Kristian Haywood to get her opinion on this age-old dilemma and she, like many women, is on the fence about the matter: "I guess my thoughts on natural hair is that if you prefer it, then that’s great. I get my hair relaxed because it is easier for me to take care of, but I do think that both natural and relaxed hair is beautiful." Over the past few months, there has been a spike in popularity in the black community of rocking one’s natural hair. While this makes me very happy, I hope that women do not look at this a trend with an expiration date, but as a turn of events in the world of style. Take this as a chance to truly get in touch with your roots and define your own beauty, one curl at a time.